Free Online Game League of Legends Growing Into a League of Its Own. LoL! League of Legends which was released in October of 2009 is quickly growing to be one of the most popular internet games. They recently hit the 15 Million user mark with 4 Million logging in to play per month and half a Million simultaneously. 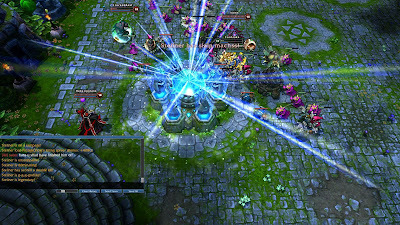 This shows tremendous growth for the Multiplayer Online Battle Arena (MOBA) for PC gamers developed by Riot Games. One of the Major draws to the game is the amount of player characters that can be chosen. With 80 Character choices in the Skill sets of Assassin, Fighter, Tank, Mage, Stealth, Pusher, Ranged, Carry, Melee, and Support there’s enough variation to keep you playing. On top of that, there is a large skill tree that can be powered up in different ways to change the feel of each character. You can also outfit your character with over 100 Attack, Magic, Defense, and Misc. items for every battle to further change your character based on your current needs. There are also Runes to power up characters that are set up before the battle that increase in power as you reach your level cap of level 30. Recent features include Draft Mode, Ranked games, Battle Training, and Co-Op vs. A.I. There is even an online Tribunal to help settle claims of player wrongdoing like verbal harassment where it's users that are able to vote to punish or pardon. 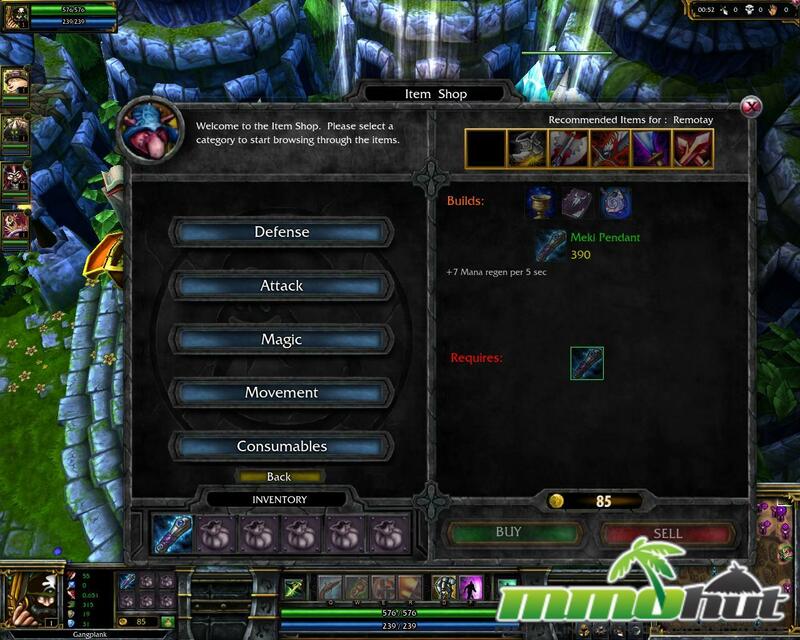 Traditional gameplay includes 3 to 5 players per side that try to attack an enemy nexus by choosing 2 to 3 lanes to push through. There are stationed turrets that need to be destroyed as well as A.I. 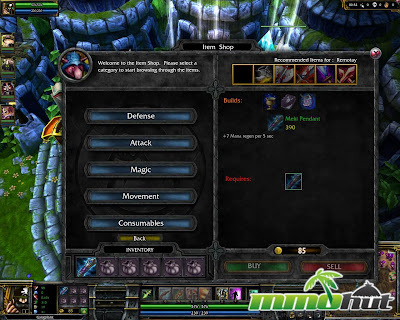 minions and enemy players to get through. Your character will start off at level 1 (game level) and as your experience grows, you will gain additional powers and items to use in that game only. Each battle nets you experience to use in leveling up your player outside of each game. The major drawback of this game that has been out for almost 2 years is that there are only 2 maps! I mean, come on! 2 maps to do battle on? The hard-core users will tell you that it’s about the character choices and combinations and not the maps. After all, chess players have only one map and that game has been around for 1500 years. And don’t forget almost every Board game ever invented with only one “map”. With 15 Million people that have played this game, the maps don’t seem to be a problem. I didn't know there was a Comp Stomp mode(co-op v.AI) Cool! Also nice to see a draft mode. That's one tabletop mechanic we just don't see in many digital games. What I have heard is that the player base is particularly vocal and nasty to anyone who doesn't "play by the book". That your experience? Good tip about the /ignore command! I just usually like to... ya know, PLAY with my games. It seems that there is little room to do that in the online arena these days. MMO raids really soured me on playing online. There are actually few notable advantages Free online gaming have that make it a much better option than buying gaming console. I am really thankful to you for sharing this blog with us.If you are looking to Buy Unranked Lol Account, visit handleveled.net. 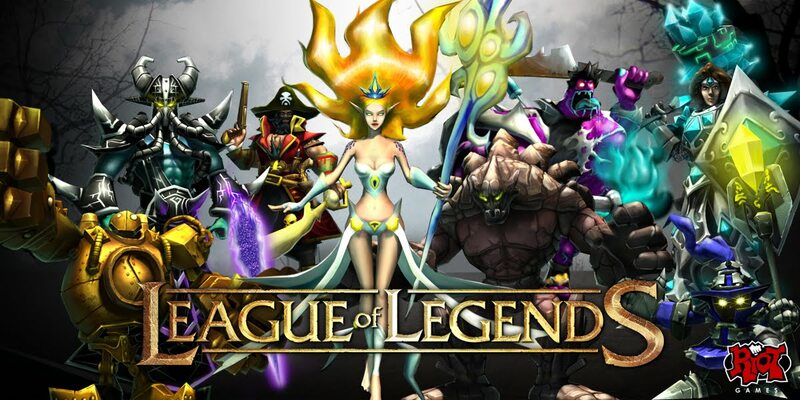 You have shared a wonderful article here about the League of Legends. I am impressed by the details that you have shared in this post and It reveals how nicely you understand this subject. Boostroyal is the best place where you can buy lol accounts at the affordable price.